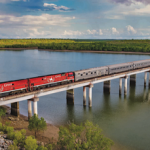 If you have ever had a hankering to explore Australia’s outback heartland or navigate some of its most spectacular coastline, then Ecruising’s epic 13-night Rail and Sail itinerary, The Authentic Australian Expedition, departing 8 March 2020 is surely calling your name. On an adventure-packed journey spanning Darwin to Sydney, including 3 nights aboard The Ghan Expedition and a 6-night cruise on board Sun Princess, this is the perfect opportunity to take in some of this country’s most iconic locations. Departing 8 March, your Australian adventure begins with 3 nights in Darwin including full-day tours of the renowned Kakadu and Litchfield National Parks, plus time to explore the country’s northernmost – and most eclectic, capital city at your leisure. 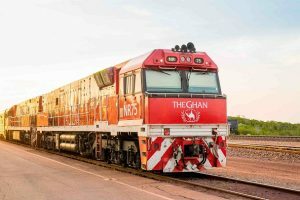 On 11 March, get ready for the next phase of your journey – a three-night rail trip aboard The Ghan Expedition, where you can absorb stunning outback landscapes from the luxurious comfort of your private cabin. Your first stopover in Katherine takes in an excursion to the magnificent and spiritual Nitmiluk Gorge, while the Katherine Outback Experience provides a unique window into inner workings of life on a cattle station through the sharing of stories and experiences, cattle dog demonstrations and live music performances. A full day in Alice Springs on day 2 is a chance to visit some of the town’s famous landmarks and galleries, or to indulge in the ultimate outback experience – an intimate scenic fixed wing flight over Uluru and Kata Tjuta*. Next stop is South Australia’s sun-scorched Coober Pedy, the opal mining capital of the world, where more than half of the residents live underground. Venture into the underground town’s tunnels and caves; visit the otherworldly underground Serbian Orthodox church; and visit the Umoona Opal Mine. Arriving in Adelaide on 14 March, enjoy one night in the charming City of Churches before embarking Sun Princess for your 6-night cruise to Sydney on board on 15 March. Following Australia’s dramatic southern and eastern coastline, stopovers include: South Australia’s Kangaroo Island, home to sea lions, koalas and penguins, not to mention sensational wineries and locally produced honey; the vibrant and creative port city of Burnie, gateway to Tasmania’s rugged north-west; and Victoria’s capital, Melbourne, with its world-class retail offering and celebrated café culture, before arriving in Sydney on 21 March. *The scenic fixed wing flight over Uluru and Kata Tjuta is an optional excursion and will incur an additional cost.